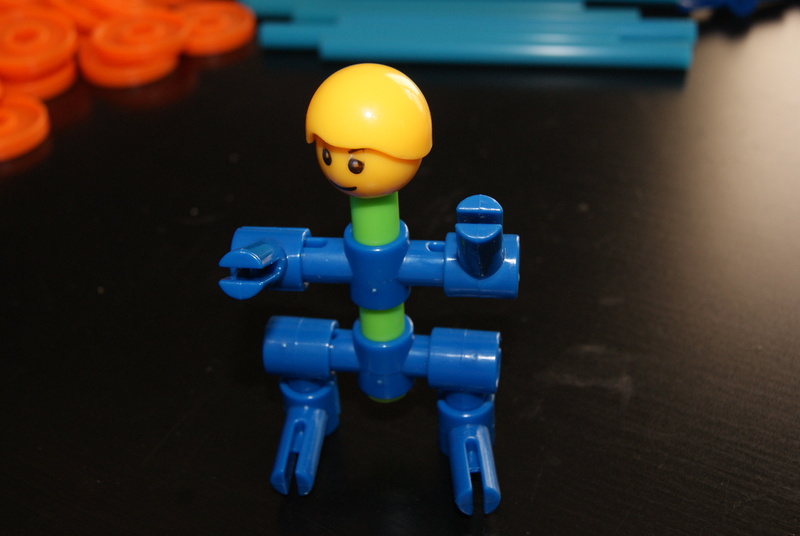 Building a toy figure using Noggin BuilderZ, exploring children’s creativity, fine motor skills and cognitive application. 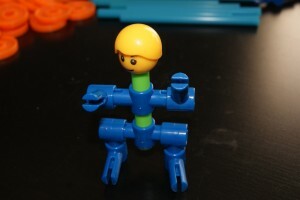 To attach the head arms and hips, put the 2 pins on the rod with the head on one end. 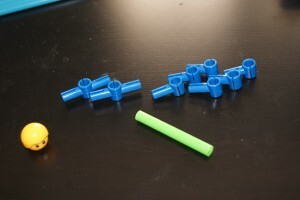 For hands, put 2 holders on the end of the pins closer to the head. Have the child play with the character, making them sit, stand and use other pieces to explore their creativity.